A few weeks ago my wife and I made a pilgrimage from Pittsburgh, Pa., to Camp Sumatanga in Alabama—sacred ground for us Methodists. 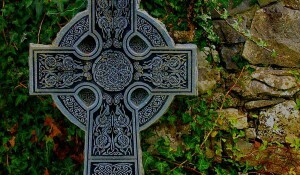 We were in Alabama on a retreat, the theme of which was Celtic spirituality. I basked in the hours of silence; enjoyed other people preparing my meals and cleaning up after; and felt renewed by morning and evening prayer and daily Eucharist. But what I really loved? The content: the vision of the ancient Celtic Christians and its relevance for today. I know much of the revival of Celtic spirituality is bland—all fairies and rainbows. But the truth is, the Celts lived in a harsh landscape as tribal people who became utterly devoted to the Triune God’s presence in their midst. 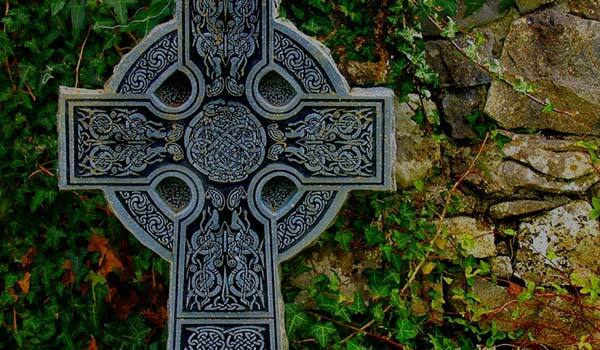 There’s nothing wishy-washy about Celtic spirituality: Trinity, Cross, and Christ are central to the Celtic way. The need to have a soul friend—what they called an anam cara. St. Brigit is reported to have said, “A person without a soul friend is like a body without a head.” We need companions in the life of faith with whom we can be utterly honest, and who can be utterly honest with us, as we seek to discern together the way of Christ. Soul friends are key in spiritual formation. Egalitarian leadership. Men and women served together, side-by-side. Some double monasteries—monasteries with both men and women—were led by an abbess, a woman. A sense of kinship with all creation. The Celts were able to see the presence of God in all of creation, and knew intimately themselves to be a part of creation. Contemporary people, so alienated from the rest of creation, have much to learn from the Celts. John Scotus Eriugena, the ninth century Irish theologian said, “Everything visible is a theophany.” Can we discover this again? But what struck me the most was the theme of pilgrimage. They didn’t journey to a specific place, and then return (the way we did to Camp Sumatanga), but they set out in their little boats, called coracles, and abandoned themselves to God’s providence—willing to go wherever the winds of the Spirit led them, taking with them their witness for Christ. At the retreat, as I looked back on my life, I could see something of this kind of wandering: I thought I would be a musician—how did I end up a United Methodist pastor? I thought I’d stay a pastor—how did I end up teaching in Pittsburgh, at a Presbyterian seminary of all places? The rascally providence of God guiding my coracle, that’s how. But as I reflected more, I began to wonder—can each day, each moment be this kind of pilgrimage? Not just the “big moves” of my life, but can I with every breath abandon myself to the winds of the Spirit, the will of the One who longs to guide me? That’s the hope, the longing, I brought back with me from the retreat. 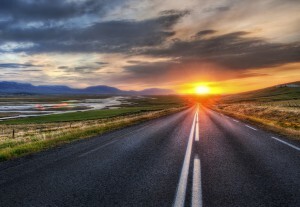 take me where you will. Now home, back at work, writing syllabi for my MDiv classes, catching up on e-mail, returning phone calls, this is still my prayer. By the Rev. Dr. L. Roger Owens, associate professor of leadership and ministry, who served as a UM pastor before coming to Pittsburgh. Traveling from Pittsburgh, Helen Blier returned to her first love in ministry – teaching. In late June, I packed my car with favorite books like old friends, my laptop, and a suitcase, and set the GPS to take me from Pittsburgh to Chicago. For a week, I get to revisit the good work that was my first call to ministry. For the past couple of years, a Midwestern seminary has invited me to teach religious education in their summer intensive program. I wasn’t always an administrator. In 2006, I joined the staff of an accrediting agency, Association of Theological Schools. Last year I was invited to be part of the team at PTS, where I oversee Continuing Education. I happened into the work after a happy career in teaching—first high school, then grad school, ending up with a degree in religion and education. Those who knew me well were disappointed that I wasn’t teaching anymore. “Administration?” they thought. Really? Surely this was a placeholder until I could return to the classroom, where everyone—including me—knew I had been happiest professionally. Education wasn’t what I did. It was who I was. And these people thought I’d left my vocation behind. I hadn’t. It didn’t happen right away, but I began to see that administration has a rich etymology that is often forgotten—administer, to ‘serve, carry out, to act as a servant, attend to the needs of.’ The heart of administration is ministry. I had always seen the ministerial aspects of good teaching. And at its core, how I did my work as an administrator didn’t end up differing from how I engaged my work as an educator. What is that core? Animating the imagination of people as they learn to live the Gospel. Whether we are doing urban ministry, serving the homeless, church planting by day and serving coffee by night, overseeing committees, or teaching Sunday school, we are contributing to the places and opportunities that allow people to learn and live the good news—that God is already here, at work in the world, and is just waiting for us to use our gifts, whatever they are, for the sake of God’s reign. When people ask me if I am an educator or a minister, I catch them off-guard by saying “Yes!” I am an administrator, directing Continuing Education at the Seminary. I might not be in a classroom anymore, but I have the joy of providing opportunities for those who are in classrooms—and pulpits, and hospital wards, and community gardens, and cafes—to reflect, celebrate, and live into their vocations too, wherever they might be. Helen Blier is the director of continuing education at the Seminary. In this role she provides programs for pastors and laity to grow in their ministry.